oneself without committing to a permanent tattoo or wearing jewelry." 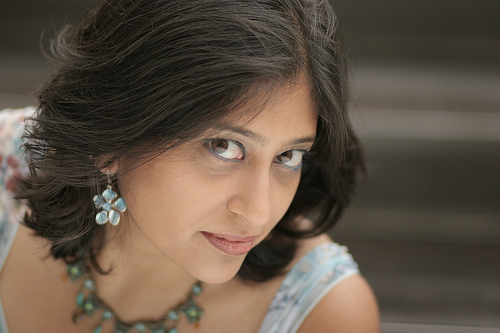 Purvi Shah's Terrain Tracks (New Rivers Press, 2006), which explores migration as potential and loss, won the Many Voices Project prize and was nominated for the Asian American Writers' Workshop Members' Choice Award. Her work fighting violence against women earned her the inaugural SONY South Asian Social Services Award in 2008. In 2011, she served as Artistic Director for Together We Are New York, a community-based poetry project to highlight the voices of Asian Americans during the 10th anniversary of 9/11. She believes in the miracle of poetry and the beauty of change. Check out more of her work at http://purvipoets.net or @PurviPoets on Twitter. This year at the Split this Rock Poetry Festival, on a beautiful, wet Saturday morning, Alexis Pauline Gumbs and Julia Roxanne Wallace facilitated an intergenerational workshop on love, safety and community inspired by June Jordan’s children’s book Kimako’s Story. This poetry workshop was based on the successful initiation of the June Jordan Saturday Survival School in Durham, North Carolina, where whole families used concepts from June Jordan’s unpublished essays, “Towards a Survival Literature for Afrikan Children” (first presented in Washington DC in 1976) and “The Creative Spirit and Children’s Literature.” The workshop activities included collaborative marker mural-making based on quotations from Jordan’s essays, fill-in-the-blank poem-making based on June Jordan’s Kimako’s Story, and the creation of a group new age “Who Look at Me” based on June Jordan’s first children’s book. At the end of the workshop, the participants created 7 group poems designed to keep us inspired, connected and present. Check out a sampling of these poems below. Do not use the words child, children, little, or kids. or defined. I trace the pattern with my index. than the days two hundred, fifty, four, years ago. his loss. I do not buy a new purse. I do not let harm fall over its cheap straps. 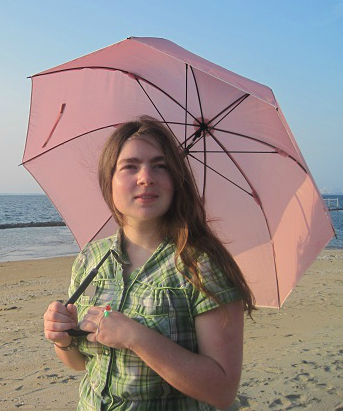 Meg Eden has been published in various magazines and anthologies, including Rock & Sling, The Science Creative Quarterly, anderbo, Gloom Cupboard, and Crucible. Her collection "Your Son" has received The Florence Kahn Memorial Award. Her collection "Rotary Phones and Facebook" is to be released in June 2012 by Dancing Girl Press. Washington, DC – On June 2, 2012 teen poets from the District, Maryland, and Virginia (DMV)will come together for the first ever regional high school team poetry slam competition, modeled off of and in partnership with the successful Chicago-based youth slam of the same name, Louder Than a Bomb (LTAB). Twelve high school poetry teams from the DMV area will enjoy an action-packed day of poetry workshops, performances, and slam competition, culminating with the Grand Slam Finals that evening to crown one team the 2012 LTAB-DMV Champions. Aiming to bring teens together across racial, neighborhood, and socio-economic lines, LTAB-DMV is a friendly competition that emphasizes self-expression and community via poetry, oral storytelling, and hip-hop spoken word. These teams of poets work after school throughout the year, with guidance from guest teaching artists and coaches from the DC Youth Slam Team, to craft individual and group poems to perform in the slam. For many students, being part of a nurturing and creative team environment—in the context of school—is life-changing. Being applauded and rewarded for speaking their minds and telling their stories is equally powerful and transformative. Please come support the DMV youth and witness their passion, courage, and willingness to share their heart. Louder Than a Bomb-DMV is a program of Split This Rock, a nonprofit organization devoted to elevating the role of poets in social and civic life, bringing together a national network of poets and activists using their words to speak for justice and peace. This year’s LTAB-DMV is co-sponsored by GWU’s Africana Studies Department, Busboys and Poets, and the DC Commission on Arts and Humanities. Contact Youth Programs Coordinator, Jonathan B. Tucker at slam@splitthisrock.org for more information or to get involved. Sponsorship opportunities are available. Split This Rock 2010 featured poet, Mark Nowak, has been leading creative writing workshops through Domestic Workers United. On May 5th, as part of the PEN World Voices Festival, Nowak moderated a panel titled "There's So Much to Say..." featuring seven participants of his workshops, all nannies and housekeepers in New York City. "...it became clear that the workshop had not only taught the craft of poetry, but it had also created a space for sharing anger, frustration, sadness and loneliness, and had enabled some of the women to find their voices. The power of creative writing to illumine pain, to humanize and add dimension to jobs and lives that, too often, go unacknowledged, was made clearly evident as participants read their work aloud." 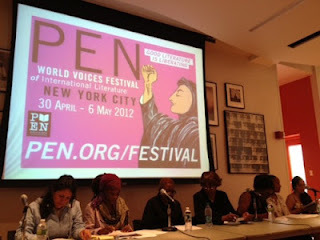 Check out photos and a full write-up of the event on the PEN Live! blog. to nearly 13,000 men, is not in dispute. where snipers waited for would-be escapees. to try Wirz, an American citizen, is not even legal. were subject to the prosecution's approval. Forget all of that for now. Feel the winter sun on your face. Listen to the jeering crowd: ANDERSONVILLE! beneath your feet. You are America--injured but victorious. Daniel Nathan Terry is the author of Capturing the Dead (NFSPS 2008), which won The Stevens Prize,and a chapbook, Days of Dark Miracles (Seven Kitchens Press 2011). His second full-length book, Waxwings, is forthcoming from Lethe Press in July of 2012. 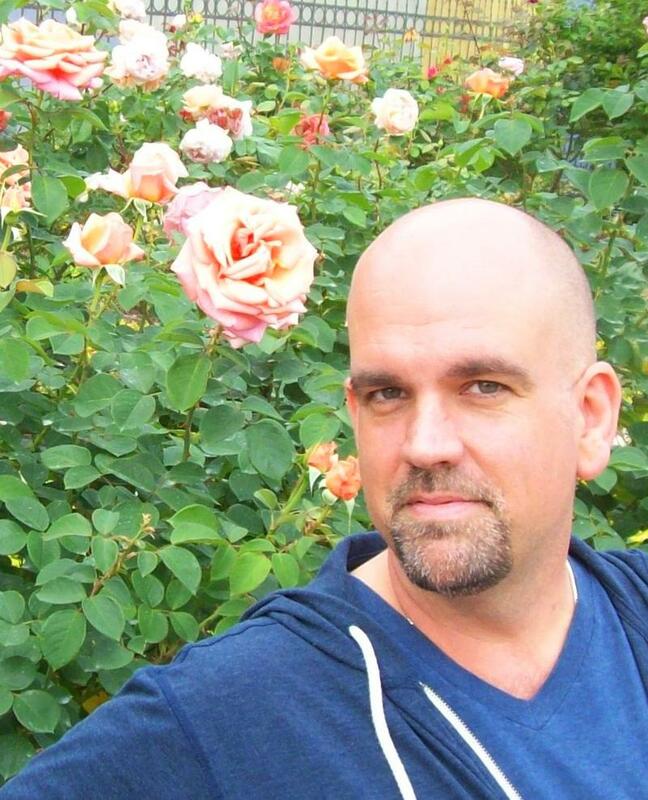 His poetry has appeared, or is forthcoming, in many journals and anthologies, including New South, Poet Lore, Chautauqua, and Collective Brightness. He teaches English at the University of North Carolina Wilmington. This month we celebrate the translations of Latin American poetry with Luis Alberto Ambroggio and his translator, Naomi Ayala, and co-translators of Venezuelan poet Maria Teresa Ogliastri, Patricia Bejarano Fisher and Yvette Neisser Moreno. Ambroggio and Ayala will be reading from Ambroggio's latest collection, The Wind's Archeology. Bejarano Fisher and Neisser Moreno will be reading from Ogliastri's collection, South Pole/Polo Sur. 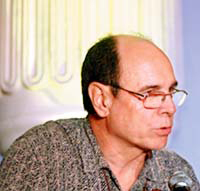 Luis Alberto Ambroggio, an internationally acclaimed Hispanic-American poet born in Argentina, is a Member of the North American Academy of the Spanish Language. Author of over fifteen published collections of poetry, anthologies, book of essays, including the bilingual anthologies Difficult Beauty: Selected Poems 1987-2006 introduced by Pulitzer-Prize winner Oscar Hijuelos (2009, edited by Yvette Neisser Moreno) and The Wind's Archeology (2011, translated by Naomi Ayala). His poetry and essays are the subject of two volumes of critical studies and have been recorded in the Archives of Hispanic Literature of the U.S. Library of the Congress. Naomi Ayala is the author of Wild Animals on the Moon and This Side of Early. Her third book of poems, Calling Home: Praise Songs and Incantations is forthcoming from Bilingual Review Press. In 2011, VasoRoto Ediciones (Mexico) released her translation of Luis Alberto Ambroggio's most recent book of poetry, The Wind's Archeology/La arqueología del viento. Naomi teaches at The Writer's Center and works as a freelance writer/editor and translator. 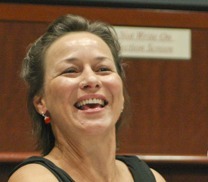 Patricia Bejarano Fisher has worked as a Spanish instructor, translator and language-learning materials developer for both government and academia. She taught college-level English in her native Colombia and Spanish at the University of Maryland and has a Master's Degree in Linguistics. Her translations of Gladys Ilarregui's poetry will be included in the forthcoming English edition of the anthology Al pie de la Casa Blanca: Poetas hispanos en Washington, DC (At the Base of the White House: Hispanic Poets in Washington, DC). 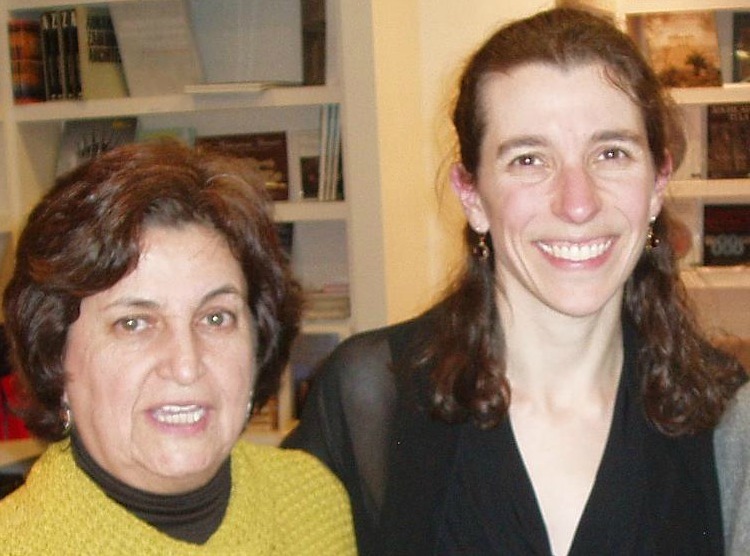 Maria Teresa Ogliastri has been hailed by critics as one of the "essential" Venezuelan poets of the 21st century for her "refined lyric register." She has authored five books of poetry, most recently Del diario de la Señora Mao (From the Diary of Madame Mao), and her work has been included in several significant anthologies of contemporary Venezuelan poetry. South Pole/Polo Sur is her 4th book, and the first to appear in English. while my father asked ¿Pa' que buscan Uds.? against his careful nails and pressed jacket. colors of the mountain quetzál. says I prefer to remain silent. 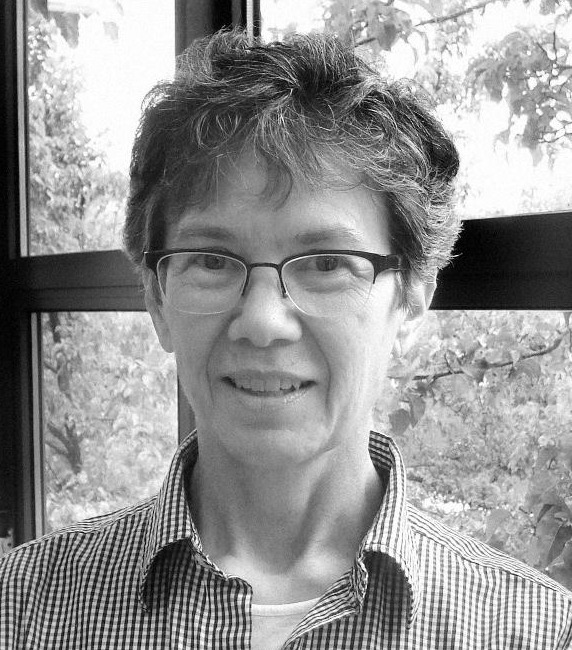 Nancy C. Otter teaches humanities at a public middle school in Hartford, Connecticut. Her poems have appeared in Helix and Naugatuck River Review. This spring, a poem from her Harriet Tubman series will appear in the Wallace Stevens Journal.